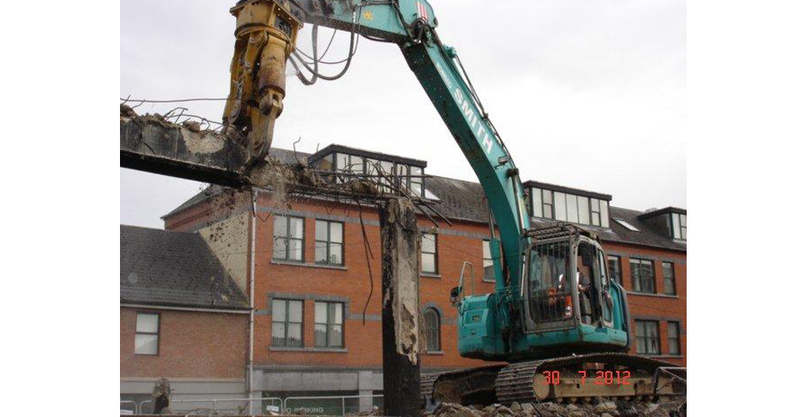 Based in Limerick but operating throughout Ireland, Smith Demolition prides itself on its reputation of being a national leader in demolition techniques. 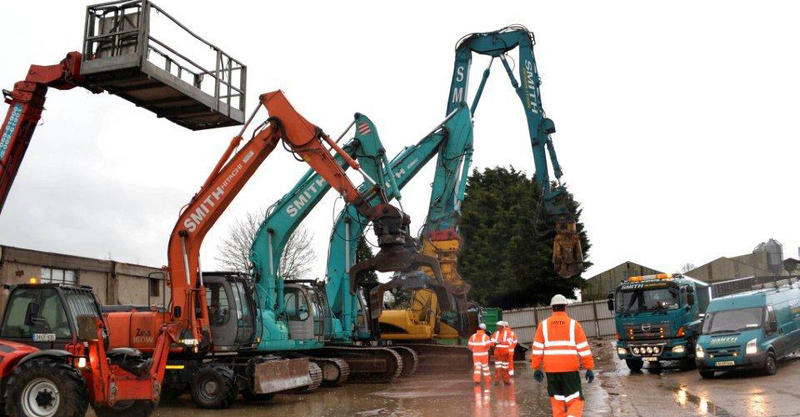 The key to the company’s success is a highly skilled workforce, versatile equipment and the ability to provide solutions and quality service from tender right through to completion. 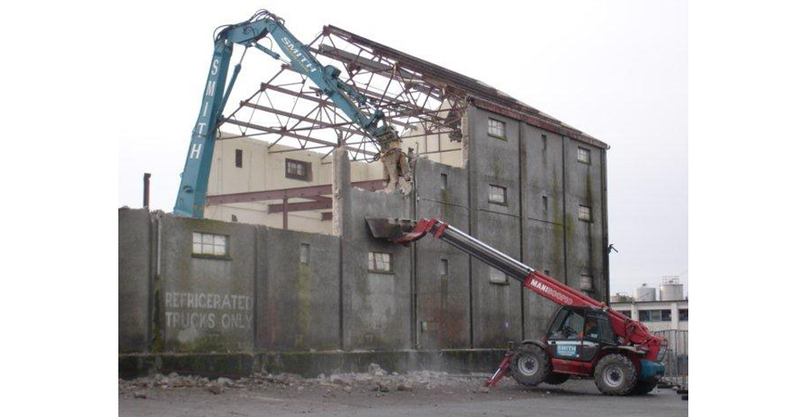 We have an extensive range of machinery and equipment to meet all your requirements; for demolition and asbestos removal to civil engineering works, site clearance and land remediation. 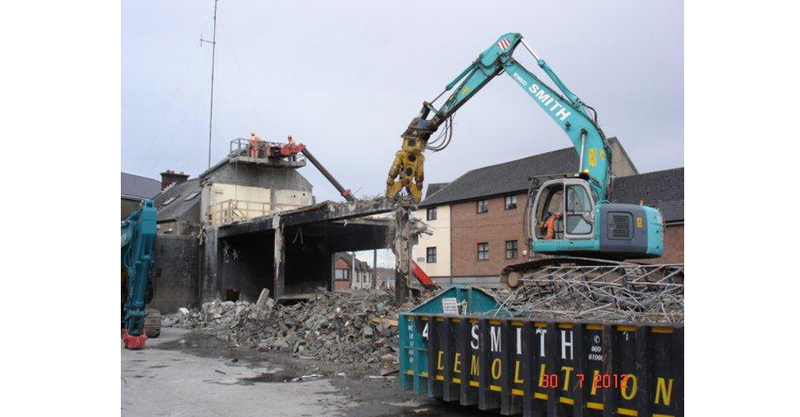 On-site segregation is provided by Smith Demolition to reduce the amount of materials going to landfill, in line with Government strategy. Concrete, blocks and brick are crushed where possible on site and reused to construct haul roads, bases for new access roadways, general fill material etc. All other recycled/segregated materials are taken to recycling facilities off site using our own haulage plant and Waste Collection Permits. 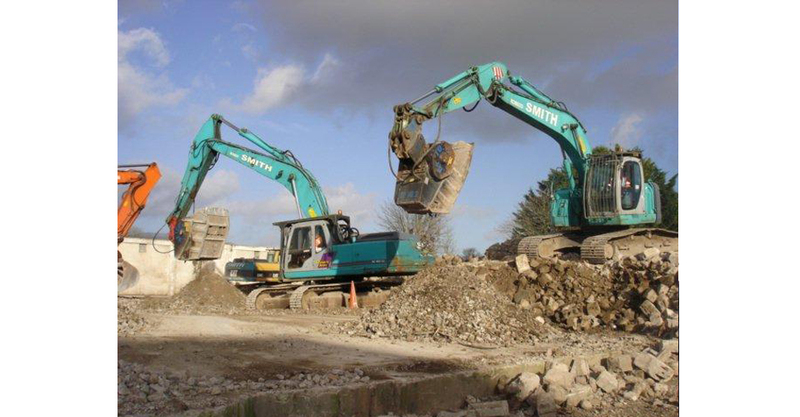 Concrete, masonry and stone cutting services are provided by Smith Demolition, using diamond tipped specialist cutting plant and tools. 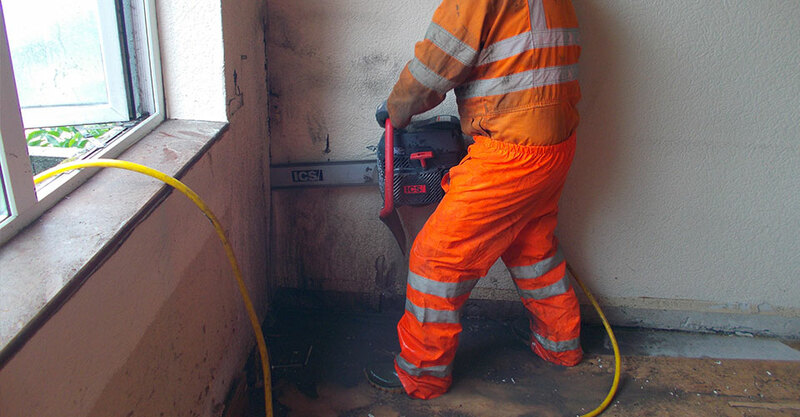 Deep and plunge cuts on concrete and masonry can be carried out in both open and confined spaces. 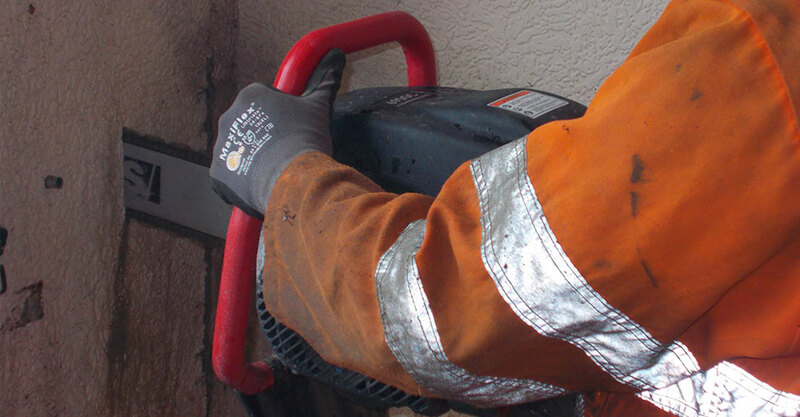 Square and corner cutting can also be provide with little or no overcutting, if required. 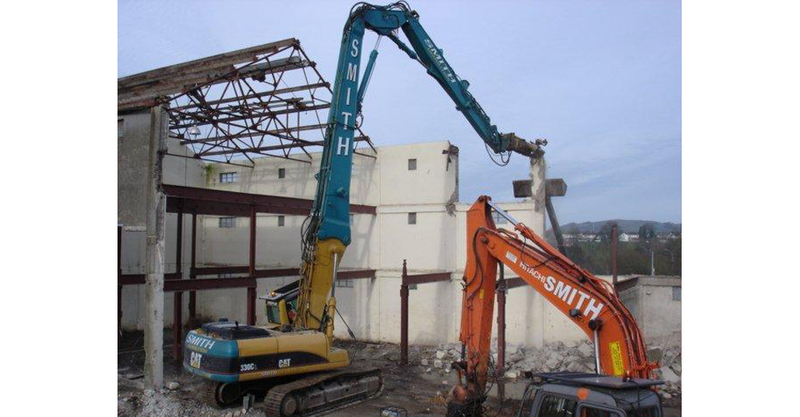 No matter what your cutting requirements are, Smith Demolition can plan, organise and achieve your cutting needs in a professional and safe manner.